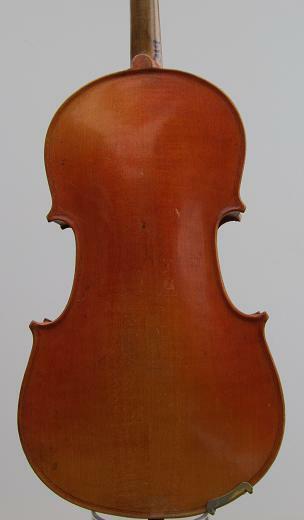 Early 20th Century violin labelled Medio Fino. Two-piece maple back, lightly flamed. Yellow-orange varnish. 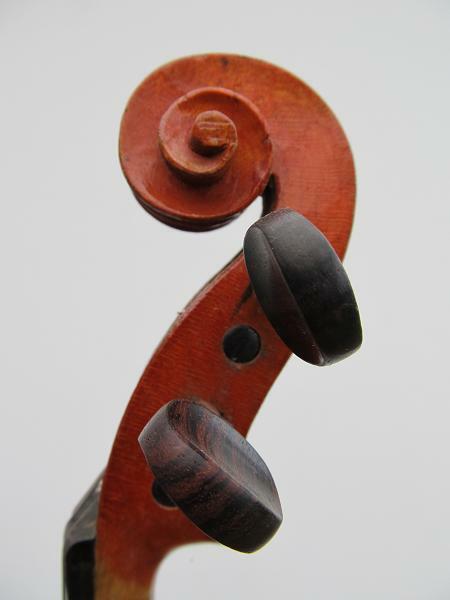 These Medio Fino violins were among the simpler models made in Mirecourt., but they are renowned for their strong sound. 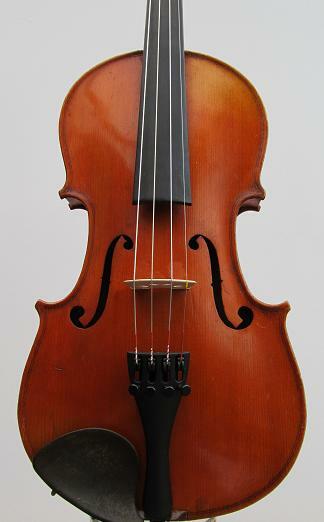 This one has a bright, clear tone - a great fiddle for a talented young player. Condition: Light dings and scratches, but no cracks, repairs or other issues. Very good for its age. Set up with new bridge, new rosewood pegs, Tonica strings and Wittner tailpiece.